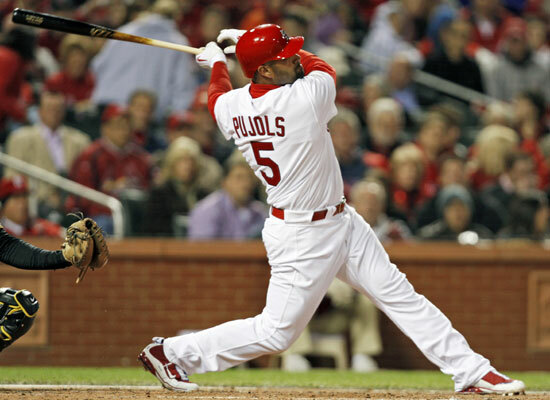 A ton of reports have the Miami Marlins offering Albert Pujols a 10-year deal. The money is unknown but the Pujols camp is thought to be taking this offer very seriously. The Marlins will meet with Albert’s agent, Dan Lozano, very soon to talk about a possible no-trade clause for the first 5 years of the contract. After that, Pujols will have no trade rights via the 10-5 rule. From what I’ve heard, this is expected to be settled by Wednesday night at the very latest. St. Louis’ offseason hangs on what Albert Pujols decided to do, therefore they are asking for him to make a decision very soon. Keep your eyes posted for more updates throughout the day. Crazy news that sped up it seemed like in a matter of hours!!!!! Still can’t believe he went to the Angels.